Sometimes companies ask me to do “competitive research” for them. I have to admit: I dread it. It’s not the work I dread. It’s the waste of their time. Just because they’re doing it, doesn’t mean it’s helping them. Sometimes companies want to do competitive research to determine their marketing efforts. Sure, you could learn what marketing channels competitors are using. You might see that they are doing Paid Search. You might be able to tell they’re advertizing on other websites. There are even tools (that each charge a lot of money) that can tell you what your compeitor is doing. What they can’t tell you is if these efforts are paying off for them. The thing is, you can’t tell if these are working for your competitors. You can’t tell how much they spend a lead. You can’t tell if they’re making money or bleeding resources. If it were, they wouldn’t tell you anyway. Just because a competitor is doing something, doesn’t mean you should do it, too. Be smarter: don’t just throw money at your marketing and hope it works. Just because they’re doing it, doesn’t mean it will work for you. I’ve seen them too: reports and white-papers from platforms that highlight success stories. They show how a company used them to “boost their sales by 10x” or “cut their bounce-rate in half.” Congratulations to them. Question the source of your information. Is the report produced by the company selling this form of advertising? Is the report about a business just like yours? Even if you trust the facts of the report I think even they would have to admit: results may vary. Obviously they’re picking the best results possible. They need to present themselves in the best possible light. Sure, this might work for you. Then again, results may vary. Some companies want to learn about their competitors to make sure they appear in the same places. If someone is in a magazine, they need to be there too. If someone’s making an appearance at a trade show, they should too. If someone’s being served in a search result on Google, we need to be there too. I get it: if someone is looking for a competitor, they should see you too. However, you don’t want to just be another option. If there’s no difference between you, and your competitor, you’re just a commodity. If that’s true, the best thing you can do us undercut your competitor’s prices. This is a good way to drive your prices lower and lower as your competitor tries to match your low-prices. Pretty soon you’re each scraping the bottom of the barrel for anyone who will pay anything for you. Notice I didn’t suggest you tell people that you’re better. Show us how you’re unique. What can you do, that your competitor can’t? If you can be unique, and you do appear next to your competitor, your customers might just decide you’re “better” after all. Compare yourself against yourself. Improve from there. Sometimes companies want to know how competitive a space might be, before they engage in any marketing effort. I get it, if the space is competitive, marketing will be expensive. They need to prepare budgets and set expectations. This is a good idea. In the worst incarnation of this, companies turn to a third-party tool. It tells them, “Your competitors is getting 1 Million pageviews every month.” So why aren’t you. I don’t put a lot of confidence into third party tools (whether Quantcast, Alexa, or SEMRush). Have you ever used these tools to compare your traffic against what they say you’re getting? Not even close, is it? Why, then, would you put much weight into what they say about your competitor. I’m also assuming that you’re comparing apples and oranges. 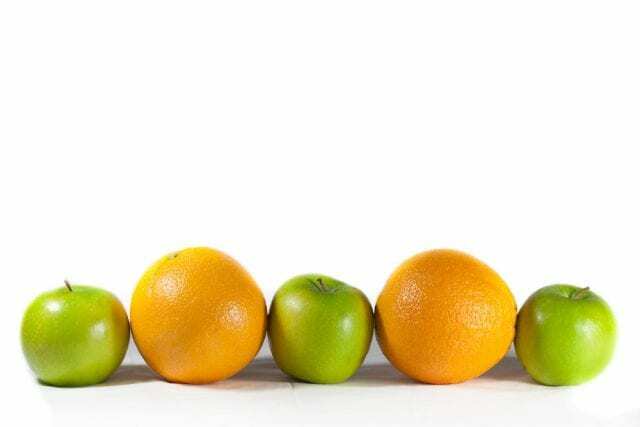 When it comes to online marketing, your competitor is not always the same size as your company. Sometimes you offer a product that Amazon offers, too. Does that make Amazon a competitor? In a way. Will you ever get as much traffic as they do? It’s doubtful. If you only offer a couple products like them, would it even help if you did? Not necessarily- you’d get a lot of traffic that is only relevant to the millions of other products Amazon offers, and you don’t. That traffic won’t sell the few products you have to offer. The same is true for services. IBM might provide a similar service to yours. They provide many other services, though, that you don’t. Even if you were to pull-off the PR coup of all-time, all that traffic wouldn’t necessarily help you. Traffic for services you don’t offer, won’t become new customers- ever. These are extreme examples but I’d suggest a different approach. Rather than measure yourself against inflated metrics like this, try to get a little more, each month. If your efforts keep improving, do more of them. If they don’t, stop and move in another direction. The key to all this: good web analytics. Know what works for you. Measure everything with your own data. Test and keep testing. I’d even go so far as saying that the best way to beat your competitors is to be able to measure your results better than they can. Identify the goals for your marketing efforts? Think: what can I accomplish that will help justify the costs? Make sure you can measure these metrics: whether sales, leads, phone calls, or whatever. If you know a marketing channel doesn’t work, stop it. Let your competitor waste their money. Keep testing unique selling propositions until you get one that produces the sales you want. (Paid search is great at this.) Let your competitors become a commodity. Work hard at producing clean data for your own marketing efforts. Let that be your benchmark against which you judge your success. Let your competitors rely on projections and speculation. TL;DR: Don’t waste your money with a useless competitive research project. Instead invest in better web analytics. Of course, not all competitive research is bad. Here are some productive uses of competitive research.